Today literally millions of people who study Bible prophecy have their eyes fixed upon Jerusalem. Right now, all over planet Earth, Christians are talking about the modern state of Israel, rebuilt Jewish temple, and a final battle called Armageddon involving Russia, China and the Jews. What is the truth? Does the book of Revelation really focus on the Middle East? 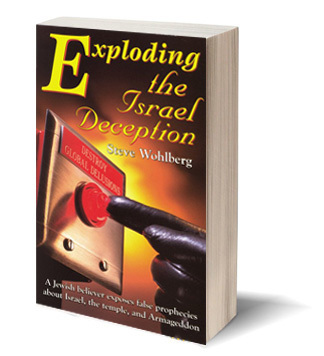 Exploding the Israel Deception is like dropping an atomic bomb upon the prophetic ideas of the majority of the Christian world. Author Steve Wohlberg proves that the book of Revelation swirls around "the Israel of God" (Gal. 6:16), not "Israel after the flesh" (1 Cor. 10:18), a distinction which could save your life. This 128 page sharing book contains the same "Israel" content as the larger book, End Time Delusions.